From Australia's horsiest bedrooms to tips on tackling the tail plait, HorseWyse has your 'horse loving' reading COVERED this season! 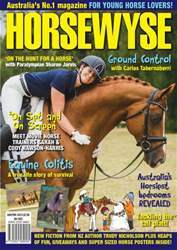 In our FAB Winter 15 issue of HW, we meet film horse trainers Sarah and Cody Rawson-Harris and we learn some important 'ground control' horse training skills from Carlos Tabernaberri. Kerri Grisham brings us an extraordinary true-life story of equine survival and Paralympian Sharon Jarvis shares her first hand experiences of hunting for the perfect pony. With plenty of FAB fiction, fun stuff, giveaways and super-sized horse posters inside, we just know you're going to LOVE reading Australia's No. 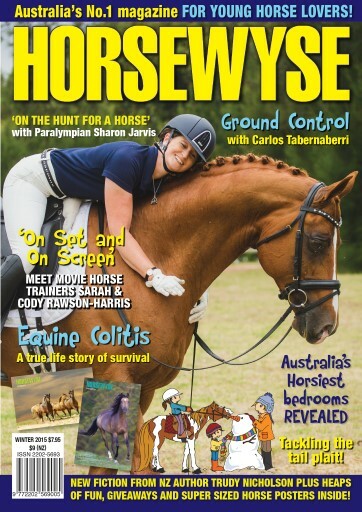 1 Magazine for young horse lovers this winter!